Best wedding transportation ever? 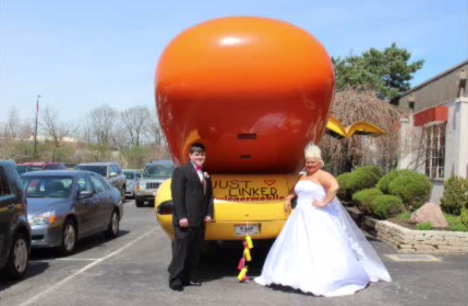 One Columbus, Ohio, couple got an epic surprise when the bride’s parents arranged for the Oscar Mayer Weinermobile to make an appearance at their wedding. Sporting flowers, tulle, a garland of mustard and ketchup bottles and a “Just Linked” sign, the famous Weinermobile arrived to take the bride to the ceremony and reception venue, and stayed afterward for photos with the guests and wedding party. First spied here. We recently discovered a fun way to add audio to your wedding photos via a free iPhone app called SOAL (short for “sounds of a lifetime”). 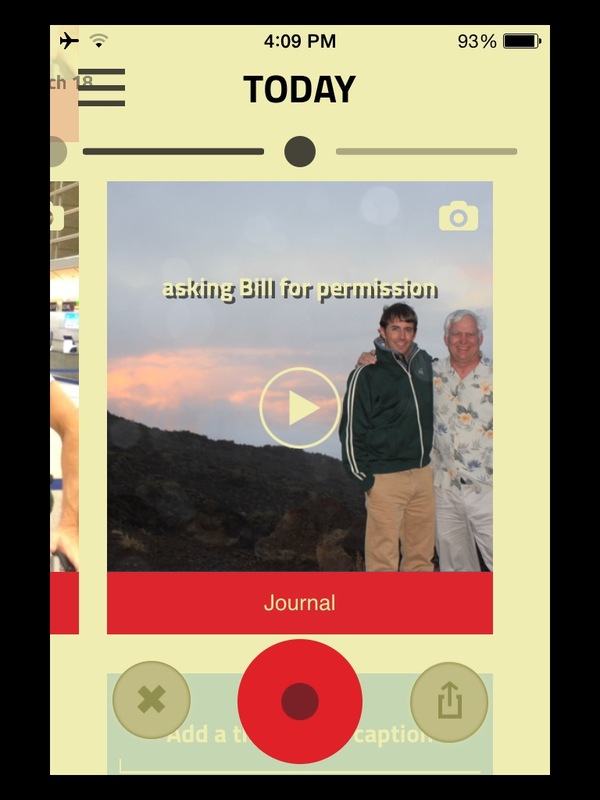 Use the voice archiving app to record a voice or sound, attach it to a photo, tag a caption and theme, and automatically save it in your timeline. SOAL lets you hear the stories behind your photos, such as how you met your bride, asked for her dad’s permission, your engagement, stories about each groomsman, your vows, the best man speech, first dance song, an audio guestbook, and more. SOAL recordings can be posted to Twitter or Facebook, or shared via “Soal2Soal” messaging, email and SMS. 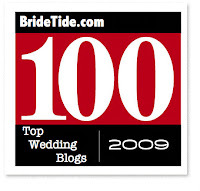 Looking for a one-of-a-kind wedding gift? Check out the handsome custom cutting boards from Black Canyon Woodworks. 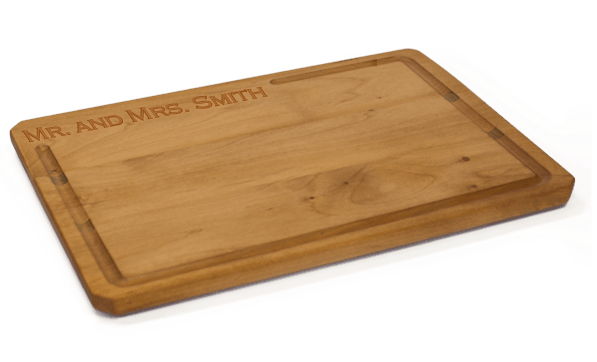 You can design your own cutting board by adding personalized text and choosing from a variety of hard woods, including hard rock maple, cherry, walnut and mahogany. Each hand-sanded piece is conditioned to provide a durable finish and bring out shine. Planning to surprise your significant other with an amazing wedding proposal? More importantly, want to do it on TV? If so, nominate yourself or someone you know to be cast in “Anything Can Happen,” a new major network show from Simon Fuller, the creator of “American Idol” and “So You Think You Can Dance”. 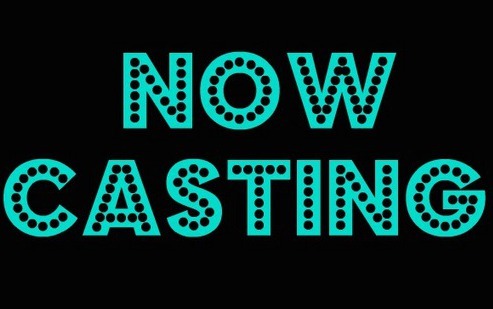 To apply, email danny[at]kasstinginc.com with the nominee’s name, phone number, email address and a brief description. Want to spice up your bachelor party without stinking up the joint? 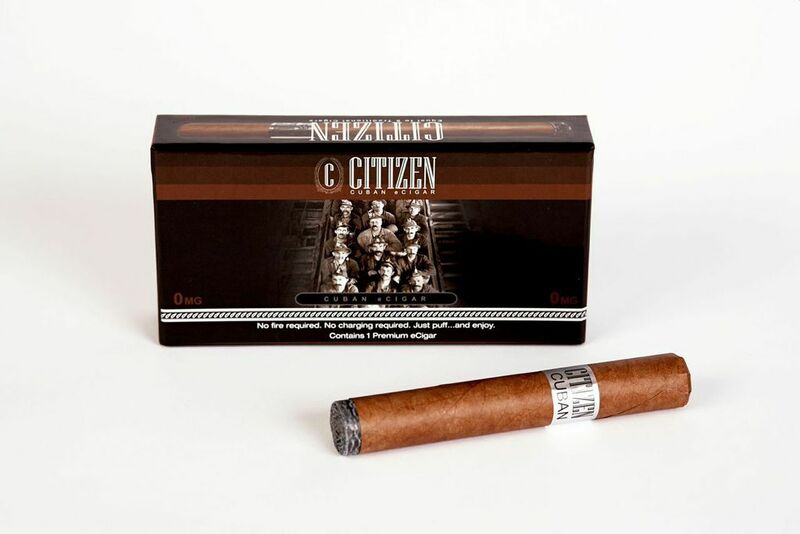 Citizen’s e-Cigars offer the flavor of a cigar without the smoke or mess. Containing only four ingredients individually approved by the FDA and ranked as food-grade quality, the e-cigars simulate a stogie by producing an alluring vapor resembling smoke. 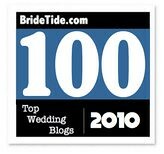 See any groom-centric content or links this week? Share them with us in the comment section below. This entry was posted on Friday, April 17th, 2015 at 8:35 am	and is filed under #groombuzz, Gifting 101, Planning + Advice, Proposals + Rings. You can follow any responses to this entry through the RSS 2.0 feed. You can leave a response, or trackback from your own site.